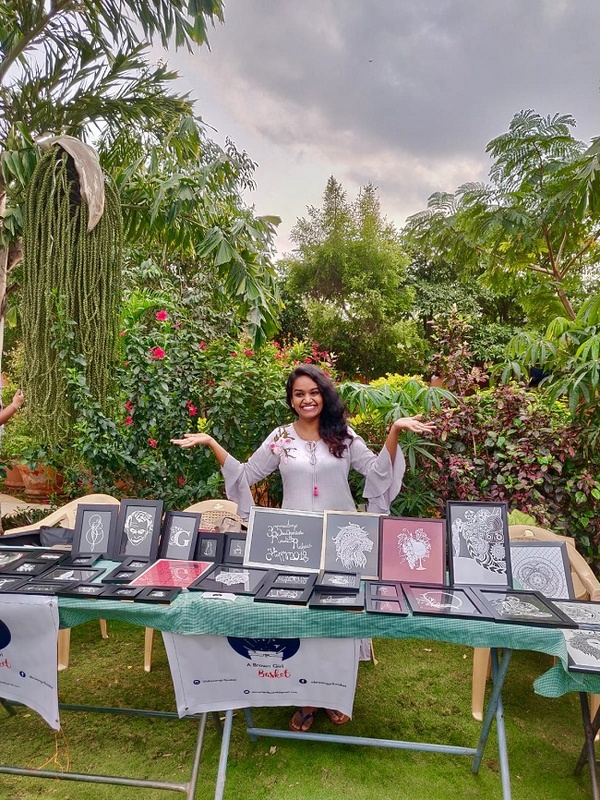 Also known as Psaligraphy, the paper cutting art has many takers and has turned the young woman into an Insta entrepreneur. For many of us, making a clean scissor cut on a paper is a feat we take pride at, not to mention the number of trials we make to get that one perfect cut. 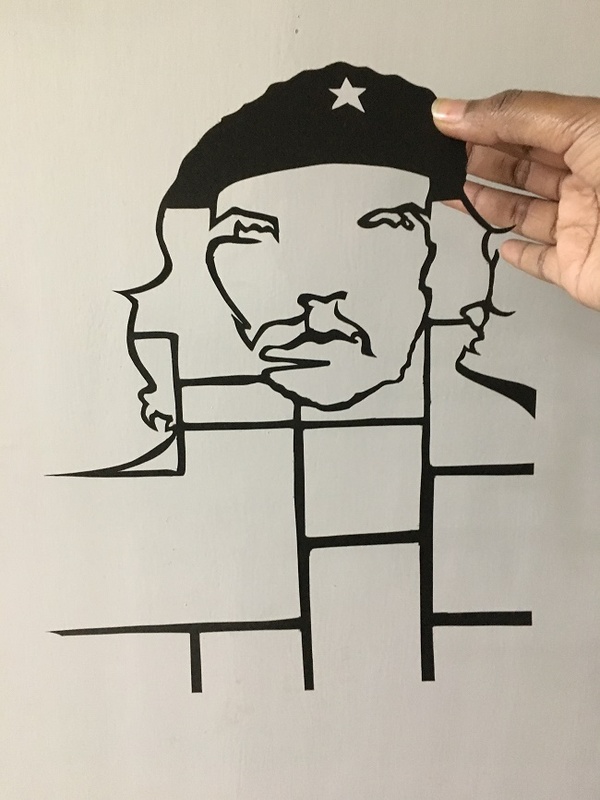 But a glance through the Instagram feed of Neetu Sam, a young enterprising woman from Hyderabad, and you will be mesmerised at the creations she has pulled off, all with the snip-snap of a scissor on sheets of paper. 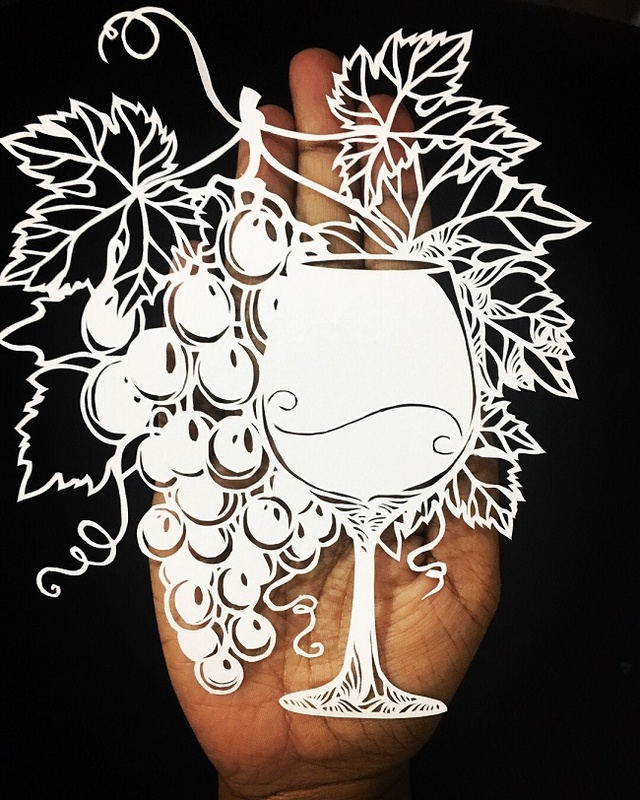 Under the moniker @abrowngirlbasket, Neetu now caters to orders from her Instagram followers, who have turned fans of her paper cutting art, a unique art of creating paper designs. Neetu, an engineering graduate, had always been artistically inclined, right from her childhood. She had a particular fascination for paper and precision, due to which the 26-year-old says, she began experimenting with chalk-sculpting, origami, doodling and sketching. “I began sketching and doodling when I was in the second or third grade. I started it off as a hobby and was never serious about turning it into a profession. After my 12th grade, my parents wanted me to pursue an engineering course and I couldn’t let them down. Once I finished my engineering degree, I eventually became a British Council certified trainer where I have trained people from IELTS till GMAT courses,” Neetu shares. 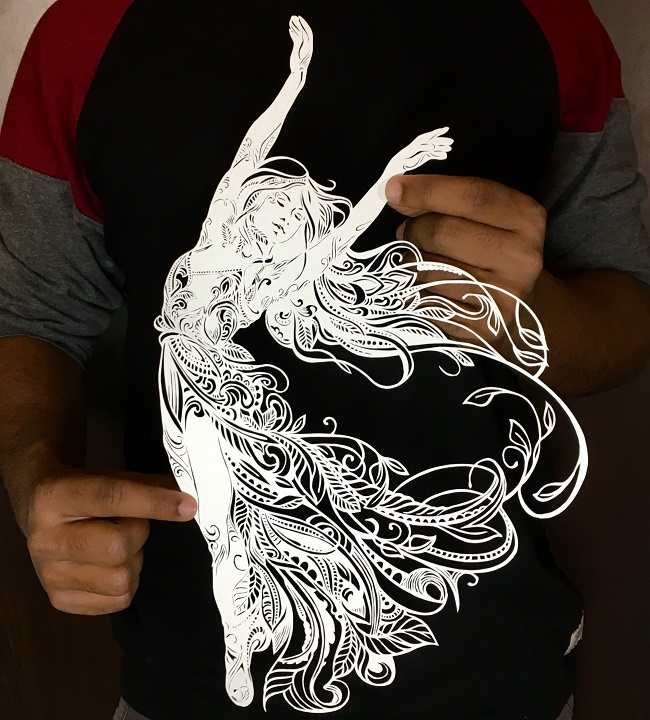 Neetu’s fascination for the paper art began only three years ago when she stumbled upon an article on Facebook. “The creations were beautiful and I didn’t understand how all of them could be made with paper, because they looked just as real as paintings. 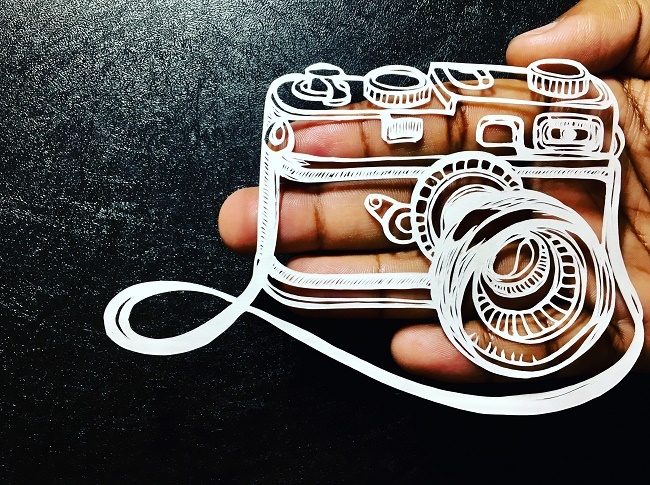 I was intrigued and learnt that paper art cutting is also called ‘psaligraphy’. I learnt paper cutting mainly through articles and not videos, and followed on how the tricks on paper work. I came across a lot of foreigners who were into the art and I started talking to them. We exchanged thoughts and there was more clarity. The tricky part was to master the kind of paper that had to be used. For example, if you cut on a normal A4 size Xerox paper, nothing can be held on to it and at the same time if you go for sketching papers, they are so thick that your blade gets broken. So I experimented for quite a while until I could get both the extremes together,” Neetu explains. 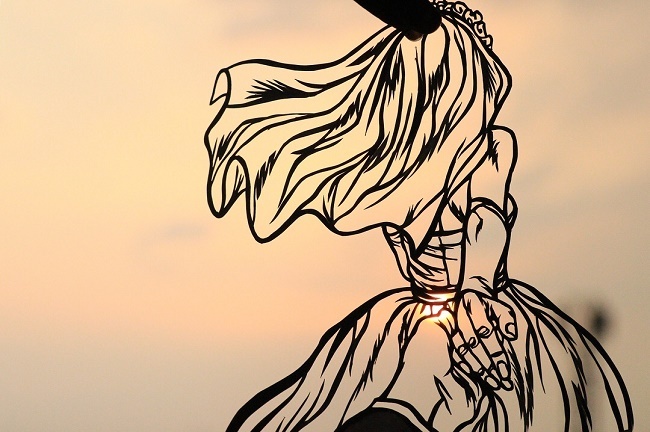 Intricacies and detailing are the core elements of paper cutting art. A single piece of art can take up to days of fine detailing, and the precision is brought about not with scissors but with varieties of surgical scalpels. 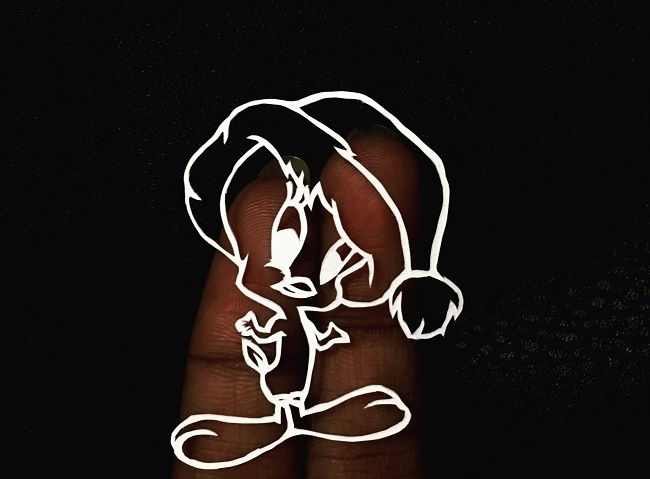 “Paper cut art is made on a single sheet of paper. Whether you are making a portrait or scenery, the entire art is cut on a single sheet and no two pieces of papers are joined. Portraits are the most difficult to paper cut. Every person has a specific feature and it needs acute precision to accentuate them through cuts and strokes to make them look different,” Neetu says. Scrolling through Neetu’s Instagram feed, one can only admire at the 26-year old’s patience at moulding certain intricate pieces. The 3D camera, a woman enjoying the breeze, the tiny Tweety, a man and his dog - the precision has made the art look as good as a real painting. By far, the most difficult piece of work has been the lady in the flying posture, which Neetu says took 3 weeks to materialise. 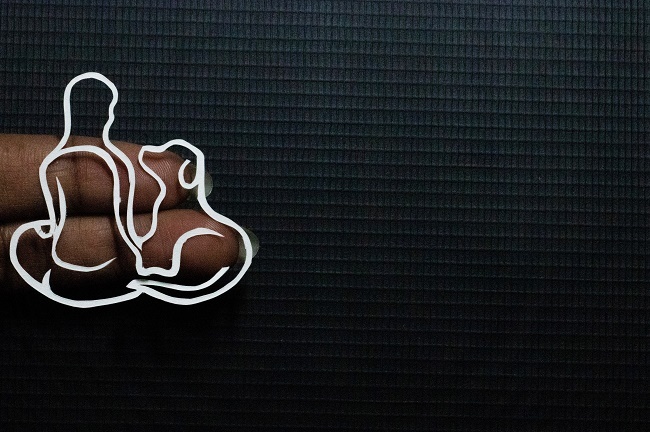 “I almost spent 18 hours at a stretch every day to carve it out. One wrong cut and the paper splits into two and your days of work go down the drain,” she adds. Neetu is not just an artist but also a solo traveller and a photographer. It was through one of her travelling buddies in Delhi that Neetu got her first order on Instagram a year and a half ago. “I do not take more than five orders a month because at the end of the day, more than a business, I want my work to be perfect as creative pieces of art. I take up orders on my already existing collection and do a few custom pieces too. But I do not sell all of my works, because some have taken humongous efforts to materialise and are very close to my heart,” Neetu shares. While Neetu handles the creative aspect of the work, her mom neatly frames the finished pieces, packs and dispatches them to the clients. In a year, she has gotten orders from Chennai to Delhi. "I am planning to soon launch a website that would exclusively be for people to choose and order from my collection of art. But more than running a business, the sheer joy is when people revert, tell you how much they loved your work and all that’s what you need to hear from your clients,” Neetu adds.